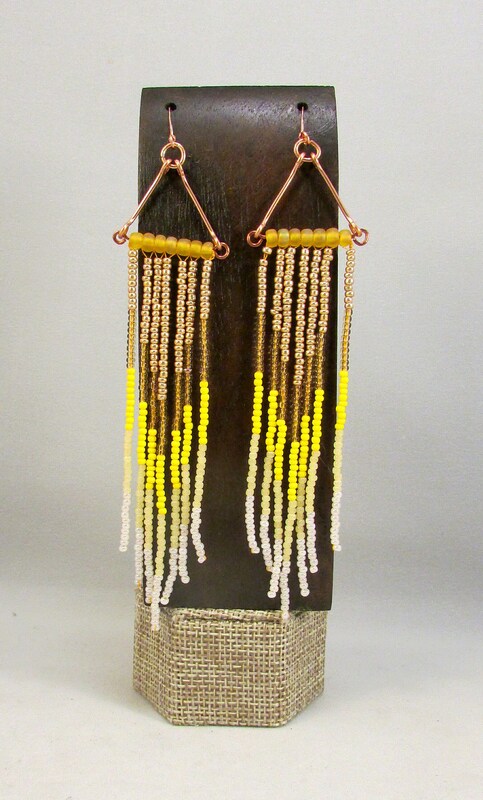 These beaded fringe earrings will move with you, catching the light as well as the eye! 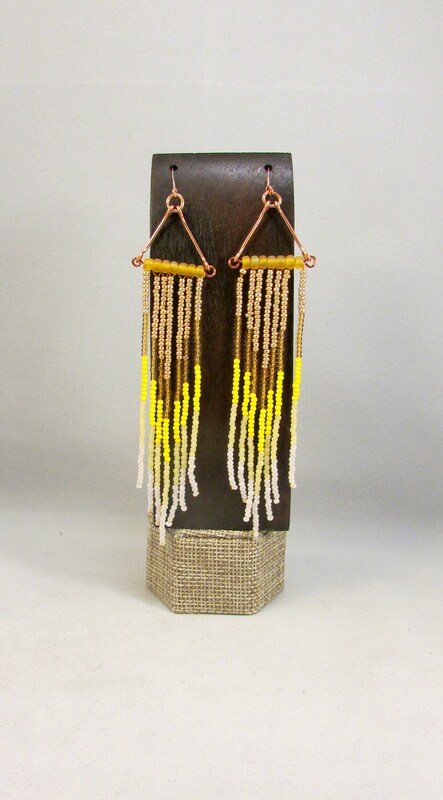 With a modern and wistful feel, these beaded fringe earrings could be worn casual or dressy for either day or night. 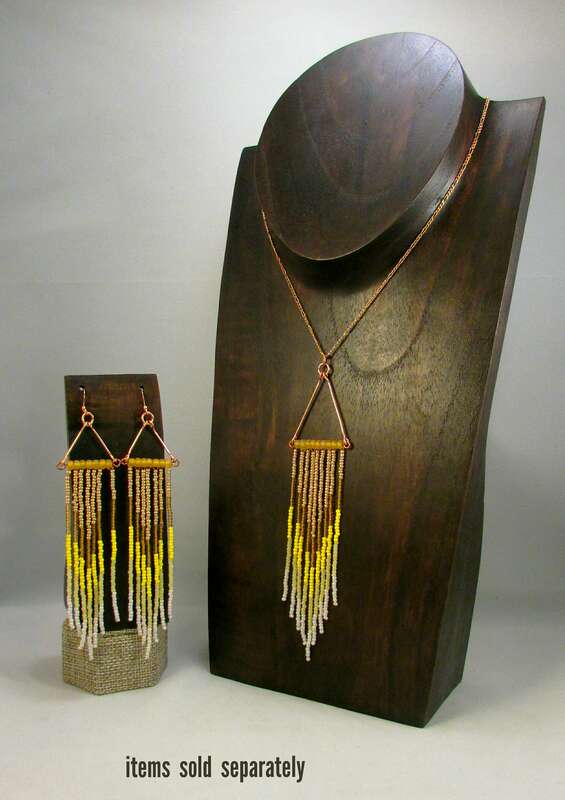 Versatile and beautiful, what more could you ask from a pair of earrings? 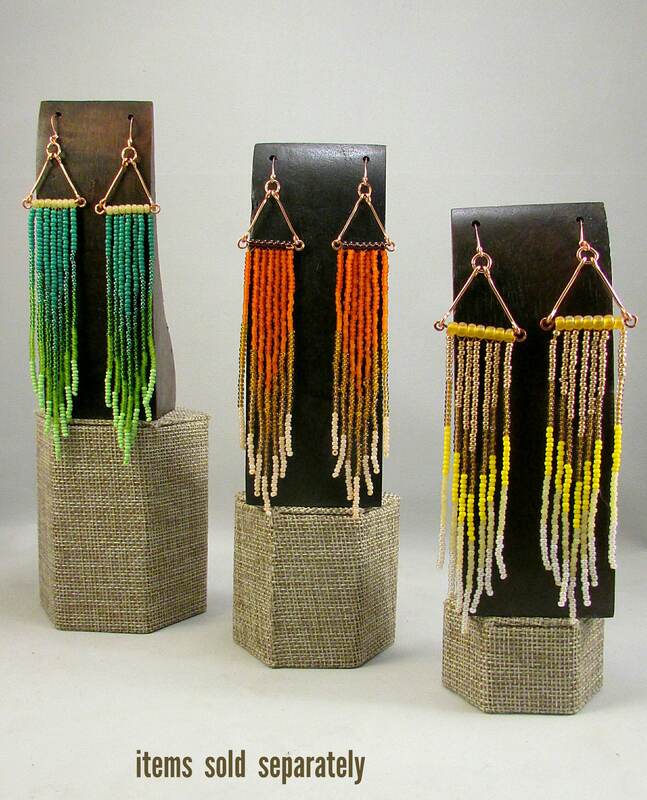 These earrings feature a comfortable copper ear wire, and can be worn comfortably all day.